Welcome to the place where fans and friends of Tony Foster can find background info, upcoming performance info, hear great music, keep in touch, and even blog! Buy it HERE first!-- NEW 2016 trio album! "Project Paradiso: Tony Foster Plays Ennio Morricone and Henry Mancini"
Foster was a recent guest of CBC Hot Air on October 10th 2016 where he discussed his new album with CBC radio host Margaret Gallagher! ​ Listen to the show HERE if you missed it! We are excited to announce the release of a new recording by pianist and composer Tony Foster. Offically available June 3rd, 2016, the album is entitled "Project Paradiso: Tony Foster Plays Ennio Morricone and Henry Mancini" and features a mix of Mancini and Morricone tunes as well as one Foster original. Joining Foster for this recording are Seattle-bassist Nate Parker and Vancouver drummer Joe Poole. Foster has chosen some well-known classics from the two iconic film composers as well as some less-known melodies which Foster felt drawn to and which would fit well with his trio. 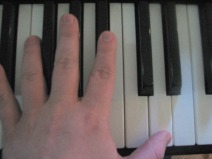 The challenge for Foster was to try and take the great melodies of these composers and bring something new to them with his arranging and performance. Foster has launched a new website in support of his new "Project Paradiso" which is an exploration of film composers' works in a jazz context. Project Paradiso- Live In Studio Session at KNKX Radio Seattle September 2016! See the videos HERE! Announcing New Website launch for "Project Paradiso"! Pianist and composer Tony Foster has launched a brand-new website dedicated to his new "Project Paradiso." The new project focuses on the music of film composers, and his new recording being released this Friday June 3rd 2016 officially is entitled "Project Paradiso: Tony Foster Plays Ennio Morricone and Henry Mancini." What better place to start a jazz exploration of the works of great film composers than with Ennio Morricone and Henry Mancini! Dan Brubeck Quartet "Live From The Cellar" Nominated for 2016 Juno Award in Canada! Breaking news! 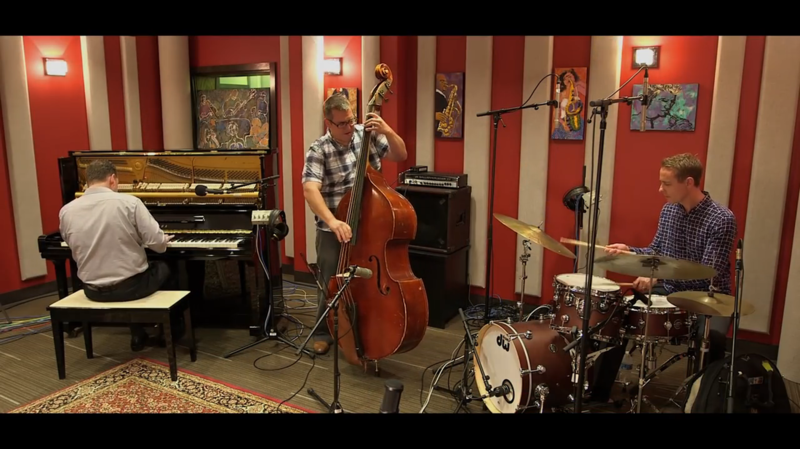 The recording of the "Dan Brubeck Quartet: Live from the Cellar" has been nominated for a Canadian Juno Award in 2016! The winners will be announced Sunday April 3rd and shown across Canada on CTV television! 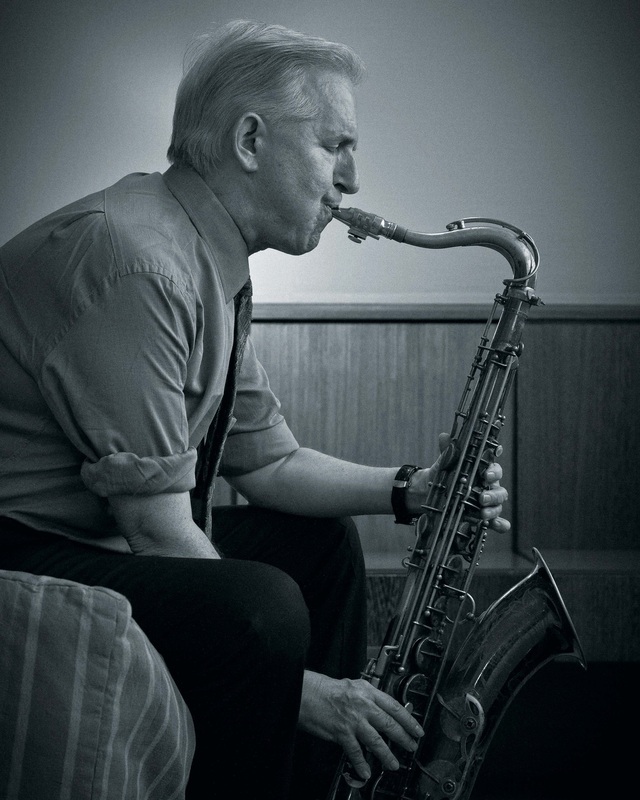 He emerged in the 1970s and at the time he was considered to be one of the few musicians of real talent who carried forward the tradition of the classic jazz tenor saxophone in the style of Ben Webster, Coleman Hawkinsas well as Zoot Sims and Don Byas. He began playing in various rhythm & blues outfits in Providence (Rhode Island), but subsequently shifted to jazz and the tenor saxophone. 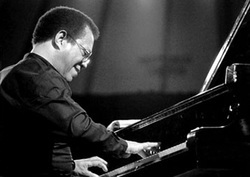 In 1976 he moved to New York City, in part at the recommendation of Roy Eldridge. He there joined Benny Goodman for a period of time and in 1977 recorded his debut album for Concord Records, with whom he would have a long recording career in his own name and as one of their Concord Jazz All Stars. He also worked as a backing musician for singer Rosemary Clooney and others. Tony Foster Trio Paradiso @ The Majestic WJMAC Room Bellingham WA Wednesday March 18, 2015! Those of you who have heard Tony at performances at WJMAC already know what a beautiful soloist and accompanist he his. But this will be the first time he has lead his own trio in Bellingham. He will be joined by his main right hand man, the phenomenal Vancouver drummer Joe Poole. 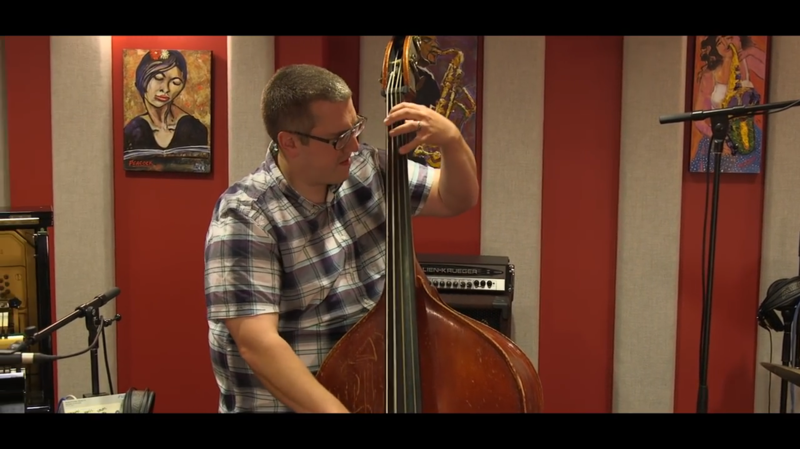 The third member of the trio for this date will be Seattle bassist Jon Hamar. The trio will be exploring material from Foster's upcoming album release of compositions by reknowned film composers Henry Mancini and Ennio Morricone! Come and join us at 7pm for an exciting night of piano trio! WJMAC at the Majestic 1027 N.Forest st Bellingham Wa. Join us on Sunday January 4th 2015 on beautiful Bainbridge Island, WA as part of the "First Sundays Concerts" series. 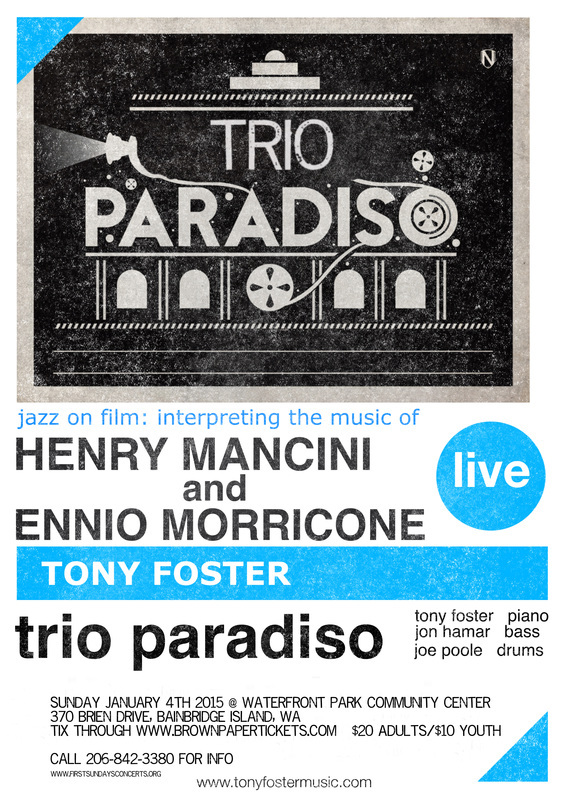 Tony Foster's Trio Paradiso will be interpreting music of two legendary film composers Henry Mancini and Ennio Morricone in the jazz piano trio format! Joining Tony will be the outstanding Seattle bassist Jon Hamar and phenomenal Canadian drummer Joe Poole! Concert starts at 4pm at the Waterfront Park Community Center (370 Brien Drive, Bainbridge Island), and tickets are available through Brown Paper Tickets and for more info, call 206-842-3380! Adults $20/ Youth $10. Special thanks to Darden Burns and the Bainbridge Community Piano Association! 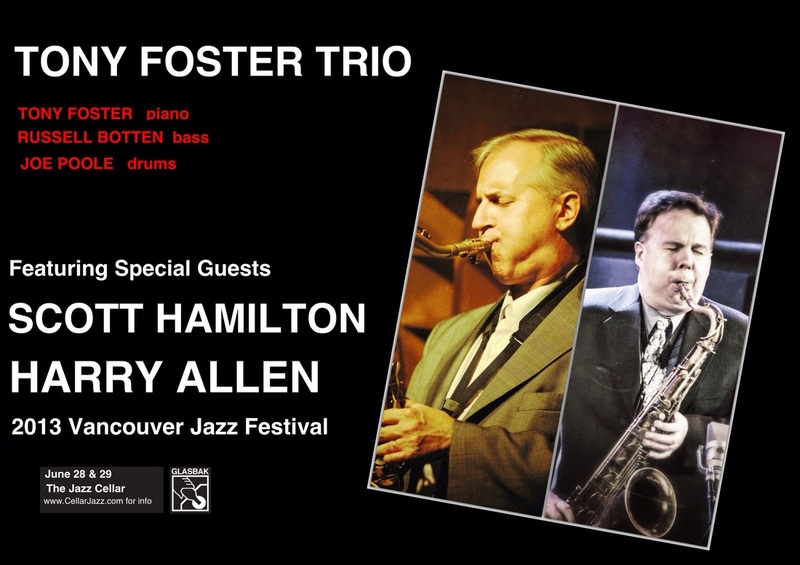 Foster brings his trio for two dates to Vancouver BC in November. Thursday Nov. 20th they will be at The Tangent Cafe in Vancouver, and then Friday Nov. 21st they will be in concert at the Silk Purse in West Vancouver where they will debut their new jazz interpretations of selections from legendary film composers Henry Mancini and Ennio Morricone. Joining Foster will be Jon Hamar on bass and Joe Poole on drums. Go here for full information! 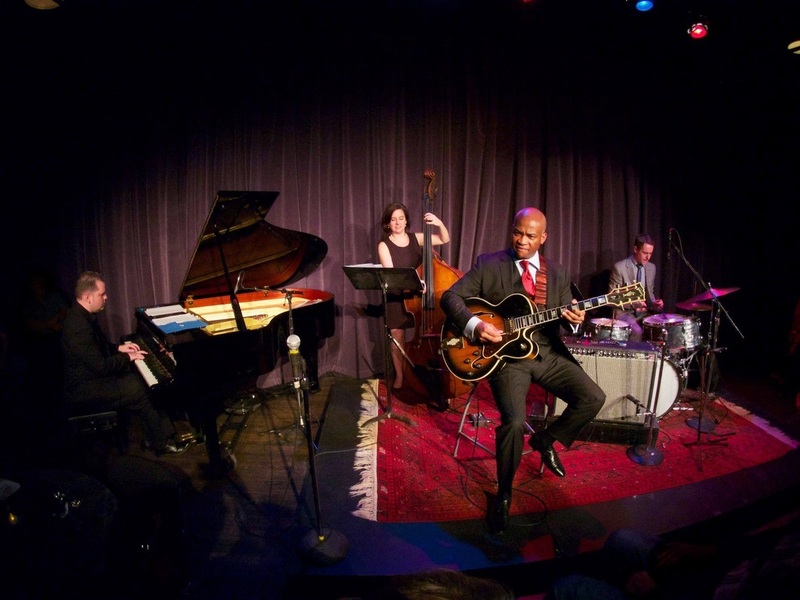 Four Corners: The Music of Cedar Walton February 27th and 28th 2014! Join Four Corners performing the music of the late great jazz pianist Cedar Walton. 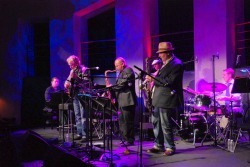 With Steve Kaldestad saxophone, Jesse Cahill drums, Jeff Gammon bass, Tony Foster piano. February 27th the group will perform in the daytime at Capilano University in North Vancouver, and on the 28th at Pat's Pub at 403 East Hastings in downtown Vancouver! 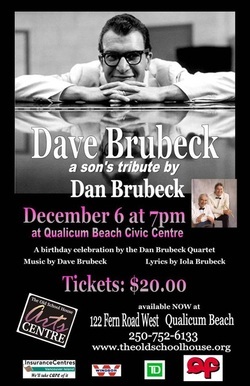 The Dan Brubeck Quartet will be doing a live radio recording on February 27th 2014 featuring the music of his father, jazz pianist Dave Brubeck! The group will feature Adam Thomas on vocals, with Dan at the drums, Steve Kaldestad on saxophone and Tony Foster on piano. More details coming soon! 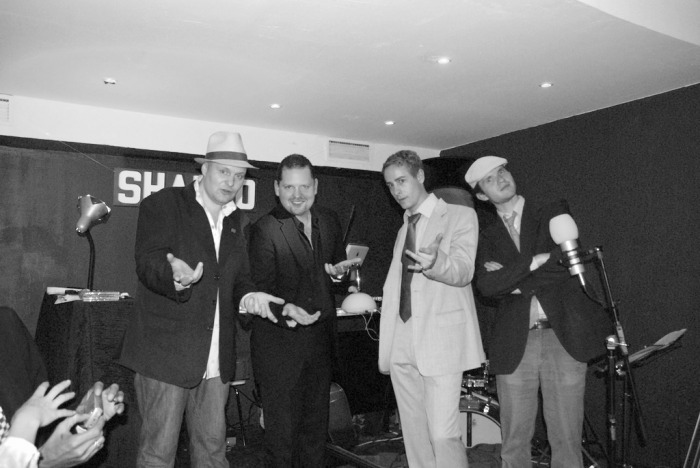 Join this newly-formed quartet calling themselves Four Corners at the 2014 Envision Jazz Festival as they explore the history of jazz! With Steve Kaldestad saxophone, Jesse Cahill drums, Jeff Gammon bass, Tony Foster piano. Join Tony Foster at the piano with vocalist Gail Pettis to celebrate Valentine's Day with your sweetheart! At the Sahalee Country Club in Sammamish Washington. Dave's compositions will be featured and be performed vocally with lyrics written by Dave and his wife Iola Brubeck. The Old School House Arts Centre (TOSH) is delighted to present the Dan Brubeck Quartet as a special Dave Brubeck birthday tribute on the night of Dave's 93rd birthday at the Qualicum Beach Civic Centre. December 6th, 2013 would have been Dave Brubeck's 93rd birthday. This veritable legend in the history of jazz passed away in Norwalk, Connecticut on December 5th, 2012, one day before his 92nd birthday.Dave's son, Dan, who, over the years, has played in several of his father's ensembles and is internationally celebrated as one of the world's finest jazz drummers in his own right, has put together a recording and concert touring project in the form of a superb quartet that pays tribute to Dan's illustrious father and his eternally inspiring music. An intriguing additional emphasis of this quartet is the performance of several Dave Brubeck compositions as vocal pieces with the wonderful lyrics that were written for them by Dave's wife, Iola Brubeck. 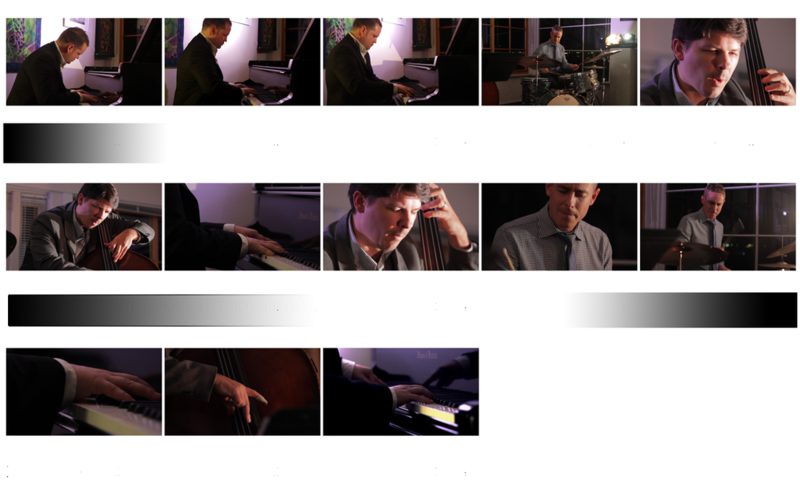 The quartet members are: Dan Brubeck-drums, Roy Styffe-alto saxophone; Tony Foster-piano and Adam Thomas-bass and vocals. Although tickets may still be available at the door, they are selling fast, and it is advisable to get your tickets for this not-to-be-missed evening in advance at the TOSH reception desk or by calling 250-752-6133 to purchase tickets with your credit card. Saturday November 23rd Bernie Jacobs Quartet at Boxley's in North Bend WA! The Bernie Jacobs Quartet will be grooving and swingin' this Saturday November 23rd at Boxley's Place in North Bend Washington. Multi-instrumentalist (saxophone and flute)/vocalist Bernie Jacobs will be joined by Tony Foster at the piano, Greg Williamson on drums and special guest on bass! Come on down for some hip sounds and hip food! 7pm-10pm. No Cover. 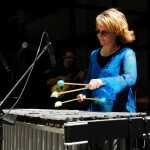 July 20th Gail Pettis Quartet at Tula's in Seattle! Join us at Tula's Jazz Club in Seattle Washington this Saturday July 20th with vocalist Gail Pettis! Admission is $15...great food and drinks are available! Come on down! 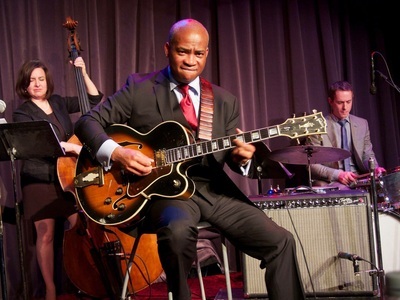 With Clipper Anderson on bass and Byron Vannoy on drums! Join us this month on March 29th and 30th as we pay tribute to the music of vibraphonist Milt Jackson and legendary bassist Ray Brown! Featuring Craig Scott on vibes, saxophonist and Vancouver's Cellar club owner Cory Weed, Russ Botten at the bass, Joe Poole on drums, Tony Foster at the piano. featuring CORY WEEDS tenor saxophone, TONY FOSTER piano, RUSS BOTTEN bass and JOE POOLE drums. Join Cellar owner Cory Weeds and the phenomenal Tony Foster Trio as they pay tribute to one of the tenor saxophone giants STANLEY TURRENTINE! What first leaps out and grabs the listener's attention is Turrentine's sweet yet muscular sound, which suggests Johnny Hodges more than the classic Swing tenors. A flexible voice, it can deepen to a resonant honk, soar into one of the most piercingly full-throated cries in jazz, and broaden to a thick, sensuous vibrato on ballads. Turrentine tends to play on top of the beat, making for a deep, trancelike groove, and his phrasing draws on both modern jazz and R&B. Angular lines alternate with timeless blues phraseology. Turrentine's work has been remarkably consistent. A new jazz compilation that has just been released features Tony Foster's arrangement of 'Take The A Train'. The track has proven to be one of the most popular from Foster's In Between Moods album for both radio-play as well as individual tracks purchased online. You can buy it HERE now if you don't have it yet! The Japanese compilation was released by Japan's music chain Disk Union and will be sold there nationally. The compilation is produced by Yasukuni Terashima- a well-known, iconoclastic jazz critic and avid audiophile who has published numerous books on jazz and audio in Japan. At age 70 he launched his own label, Terashima Records, and began releasing jazz CDs and LPs that reflects his ideals for jazz music and how records should sound. Inside Ballard WA's Thaiku restaurant, join drummer Tad Britton with Jeff Johnson on bass and Tony Foster on piano for an evening of cool jazz! 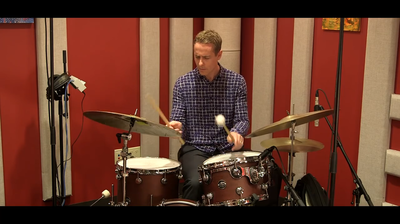 Formerly from the Black Hills of South Dakota, the Seattle-based drummer creates a gentle and lyrical tri. No Cover. Jazz vibraphonist Susan Pascal’s quartet strikes a dynamic balance between spontaneity and imaginative arrangements, originals and great jazz and American songbook standards. Join the quartet this Friday at Tula's in downtown Seattle. With Susan Pascal vibes, Tony Foster piano, Chuck Deardorf bass, Mark Ivester drums. $15 music charge. Foster/Pascal Duo @ Boxley's Thursday Nov. 3rd 7-10pm! Join us for an evening of duo vibraphone and piano as Seattle vibraphonist Susan Pascal and pianist Tony Foster play some Milt Jackson classics as well as a variety of standards and creative originals! Boxley's Place in North Bend WA is a great place to hear great music and enjoy excellent food at the same time. Or just stop in for a drink! Join Tony as he performs with vocalist Gail Pettis and her quartet at Bumbershoot- Seattle's Music and Arts Festival at the EMP Level 3 Stage at 12 noon! Recent winner of Earshot Golden Ear Awards "Northwest Vocalist of the Year," Gail Pettis is a welcome addition to the Pacific Northwest jazz scene. Pettis' rich, warm vocals and understated phrasing often inspire comparisons to singing greats like Nancy Wilson, Sarah Vaughan and Carmen McRae. 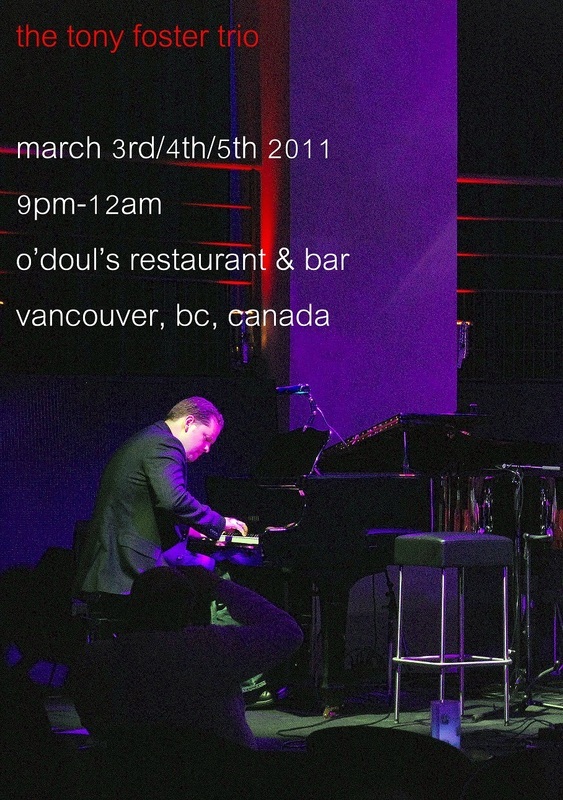 Join Tony and his trio for three nights of great music at O'Doul's Restaurant & Bar in downtown Vancouver BC. 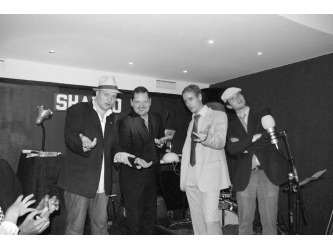 The trio will feature the awesome Sean "soul man" Cronin on bass and the unbelievably groovin' Joe Poole on drums. O'Doul's is a great place to hang out at the bar for a drink, or enjoy the fine dining in the dining room! No Cover. Tony joins vocalist Gail Pettis for an evening of the American Songbook in the intimacy of the Fireside Room at the Sorrento Hotel in downtown Seattle! Rounding out the trio will be a special guest on acoustic bass! Four-time nominee and 2007 winner of Earshot Golden Ear Awards “Northwest Vocalist of the Year,” Gail’s rich, warm vocals and understated phrasing have been described as “deliciously soulful” by Cadence Magazine. No cover. 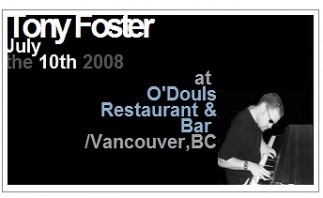 Come down to O'Doul's Restaurant & Bar to hear the Tony Foster Quartet during this year's 2011 Vancouver Jazz Festival. The group will feature Evan Arntzen on saxophone, James Forrest on bass, and Joe Poole on drums! Music starts at 9pm. 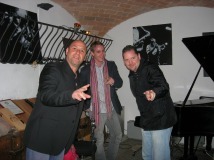 Hang out after the gig for the annual jazz festival jam session. Join us Thursday and Friday June 9th and 10th at O'Doul's Restaurant & Bar in Vancouver BC as we perform some classic repertoire from the legendary jazz vibraphonist Milt Jackson. Featuring Craig Scott on vibes, Russell Botten on bass, Tony Foster on piano. Joining the group on Friday night will be Joe Poole on drums. 9pm-12am. Tony performs June 4th in Bellevue Washington at the 2011 Bellevue Jazz Festival at the Twisted Cork Lounge (inside the Hyatt Regency Hotel) as part of the Greg Williamson Quartet. Williamson runs a jazz record label in Seattle WA, as well as keeping busy working with everyone from Ernestine Anderson to Bob Newhart! With Paul Gabrielson bass, Travis Raney saxophone. From Russia With Chops! Join the Seattle-based, Russian-born saxophonist Alexey Nikolaev with Tony Foster for an evening of intimate duo jazz at Boxley's Place in North Bend Washington this Thursday May 5, from 7-10pm. No cover charge, great food, and great music! On Thursday April 14th, join Tony with Seattle-area bassist Jon Hamar for an evening of jazz duo at Tervelli Ultralounge in Kirkland Washington. 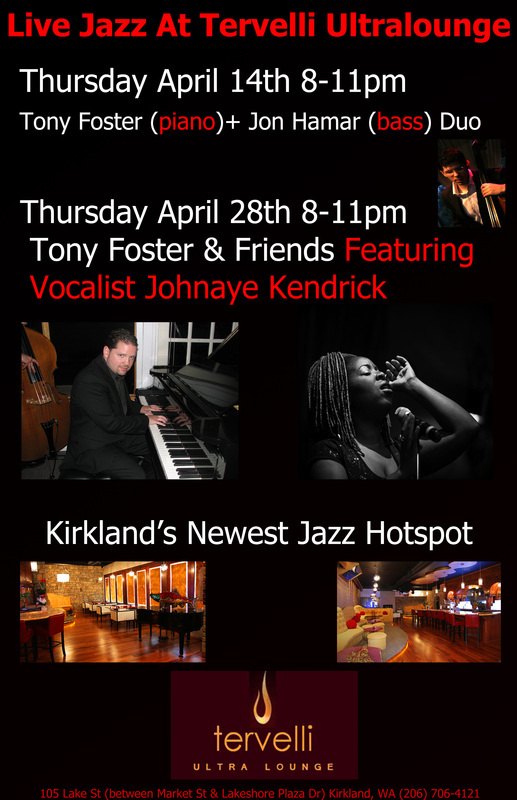 Then on Thursday April 28th, join Tony again with Jon Hamar, but this time featuring vocalist Johnaye Kendrick along with a very special guest! Ms. Kendrick currently resides in Seattle, WA. and serves as the Assistant Professor of Jazz Voice at Cornish College of the Arts. 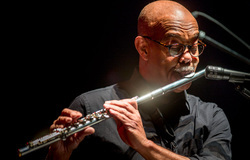 In addition to working regularly with the Nicholas Payton SEXTET, Johnaye is also the featured vocalist with the Ellis Marsalis Quartet and the New Orleans Jazz Orchestra. The Orchestra won a Grammy® Award in the 2009 “Best Large Jazz Ensemble Album” category for their latest release, Book 1 on which Ms. Kendrick is featured. Kirkland's hottest new jazz hotspot- Tervelli Ultralounge! the new "Ultralounge VIP" room called "Tervelli" - is gorgeous, and promises to give us some of the best music and entertainment on the East side! Having just opened on December 29th, 2010, Tervelli captures an Exclusive, VIP-Only, Las Vegas Style Lounge feeling. Tervelli is the latest creation of Olive You restauranteur Timur Leno and located at 105 Lake Street (the former Kahili Coffee location) in Kirkland (connected in the same building as Olive You). Music from 8-11pm, no cover charge, half priced appetizers, $3 featured draft, $5 featured wine! Tony joins Vancouver saxophonist and Jazz Cellar club owner Cory Weeds along with Thomas Marriott, Matt Jorgensen, and Devin Lowe as the quintet hits the Ballard Jazz Walk in Ballard Washington as part of the 2011 Ballard Jazz Festival! $25 for 17 bands at 13 venues! Tony Foster will be at the piano in downtown Vancouver BC at O'Doul's Restaurant & Bar every Tuesday night in April from 8-11pm! April 5, 12, 19, 26. O'Doul's is a great restaurant with great food and wine. 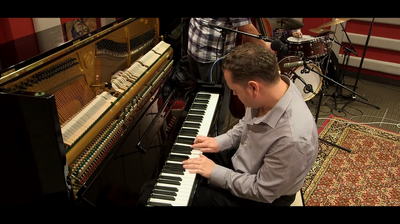 Sit at the bar for a drink or in the dining room for dinner while enjoying great live piano jazz! No Cover, no minimum. 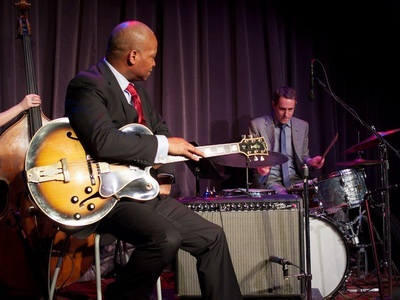 Tony Foster and Jon Hamar join forces for an evening of jazz duo! Music starts at 7pm at Boxley's Place! Boxley's is a great restaurant with fine food and wines in the beautiful town of North Bend, Washington where the classic TV series Twin Peaks was filmed! Join Tony and his trio at O'Doul's Restaurant & Bar in Vancouver BC Canada on Robson Street in the heart of downtown Vancouver for 3 nights of exciting piano trio! With Joe Poole on drums and Brent Gubbels on bass. The trio will be playing material from Tony's 2009 debut trio album In Between Moods (which charted in the top 50 jazz radio for North America) as well as originals and standards to be featured on an upcoming album which is currently in the works! March 3rd, 4th, 5th, 9pm-12am, no cover. Dee Daniels offers the jazz aficionado an ultimate treat – jazz served up with full-bodied silky tones that soar to the height and captures the depth of her four-octave range. She has a warm presence and performs with exceptional ease and artistry, to the great enjoyment of her audiences. Headlining the Water's Edge Festival in Coquitlam BC at 2pm will be Dee and her trio – Tony Foster, piano; Russ Botten, bass; and Joe Poole, drums. Get your tickets early. Tix $20/25 This concert is sure to sell out! 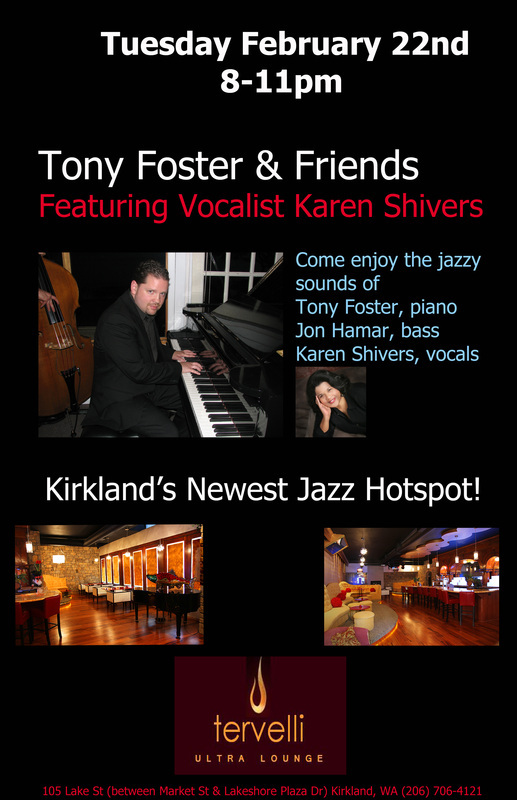 Join pianist/composer Tony Foster & Friends featuring vocalist Karen Shivers and bassist Jon Hamar at Kirkland's hottest new jazz hotspot- Tervelli Ultralounge! the new "Ultralounge VIP" room called "Tervelli" - is gorgeous, and promises to give us some of the best music and entertainment on the East side! Having just opened on December 29th, 2010, Tervelli captures an Exclusive, VIP-Only, Las Vegas Style Lounge feeling. Tervelli is the latest creation of Olive You restauranteur Timur Leno and located at 105 Lake Street (the former Kahili Coffee location) in Kirkland (connected in the same building as Olive You). Music from 8-11pm, no cover charge, half priced appetizers, $3 featured draft, $5 featured wine! An evening of solo piano at Boxley's Place in North Bend Washington with Tony Foster at the piano playing material from the Great American Songbook as well as jazz standards and originals. Join Tony Foster (piano) and Chuck Kistler (bass) at Boxley's Place in North Bend Washington for an evening of jazz piano-bass duo and excellent cuisine! Show starts at 7pm. No cover charge. Vancouver-born jazz pianist and composer Tony Foster performs an evening of solo piano every Wednesday in December 2010 at O'Doul's Restaurant & Bar on Robson Street in the heart of Vancouver BC. 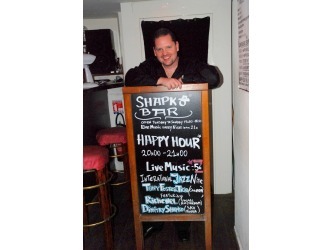 Enjoy fine wine and cocktails at the bar, or a great meal along with wonderful music. No Cover. 9pm-12am every Wednesday in December. Join Vancouver saxophonist (and owner of Vancouver's Cellar Jazz Club) along with Tony Foster on piano and Russell Botten for three nights of great music at O'Doul's Restaurant & Bar in downtown Vancouver BC. November 18, 19, 20 @ 9pm-12am. No Cover. Join pianist and composer Tony Foster and his trio for three nights at one of Vancouver's premier venues for live jazz, O'Doul's Restaurant & Bar located in the heart of downtown Vancouver on Robson Street. Tony will be featuring music from his debut trio release In Between Moods (released in May 2009 and charted in the top 50 on jazz radio in North America) as well as new material for an upcoming CD. Featuring Adam Thomas on bass and Joe Poole on drums! 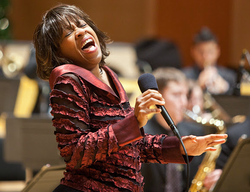 "The Eastside Jazz Club Annual Extravaganza"
Returning to the greater Seattle area, singer Dee Daniels will be headlining the Club's Annual Extravaganza. Appearing with Dee will be her trio: Tony Foster, piano; Phil Sparks, bass; and Clarence Acox, drums. Join Tony at the Steinway piano for an intimate evening of solo piano at Boxley's Place in North Bend WA at 7pm. Great food and great music! Come on out to the same little town where they filmed Twin Peaks! Join Tony Foster at the piano from 9pm-12am every Wednesday in September at O'Doul's Restaurant & Bar- one of Vancouver's hottest spots for jazz! Enjoy great wine and food either in the dining room or at the bar! No cover. 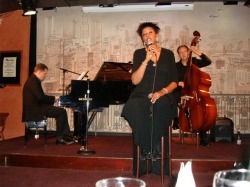 Vocalist Dee Daniels returns to the Cellar Jazz Club for two nights with three of her favorite Gentlemen of Jazz: TONY FOSTER piano, RUSS BOTTEN bass, and JOE POOLE drums. She will debut songs from her new "still in progress" recording project... and of course, you'll also hear some exciting arrangements of your favorite jazz tunes as well as songs from other genres. Reservations recommended... Come early for dinner and experience the great food too! In the tradition of the B3 organ greats like Jimmy Smith, Lonnie Smith, Don Patterson and others, join us at the Jazz Cellar in Vancouver, BC, Canada for some soulful tunes featuring Tony Foster at the B3 Hammond organ. With Cory Weeds, saxophone, Jesse Cahill on drums. 8:30pm, no cover. Three Tuesdays : August 17th, 24th, and 31st! Jazz Sushi! Friday August 13th @ Hiroshi's with Compass Point Quartet! Vancouver-based jazz pianist/composer Tony Foster’s “Soul Jazz Project” quartet plays in the grooving tradition of the great soul jazz artists of the ’60s, including legends like Lou Donaldson, Stanley Turrentine, and Eddie Harris. With the emphasis on cutting loose and having a good time, this group’s music is steeped in soul, and it’s all about the groove! Featuring the great Vancouver-based saxophonist David Say with Brent Gubbels bass and Joe Poole drums. AVAILABLE NOW!....get it right here first! 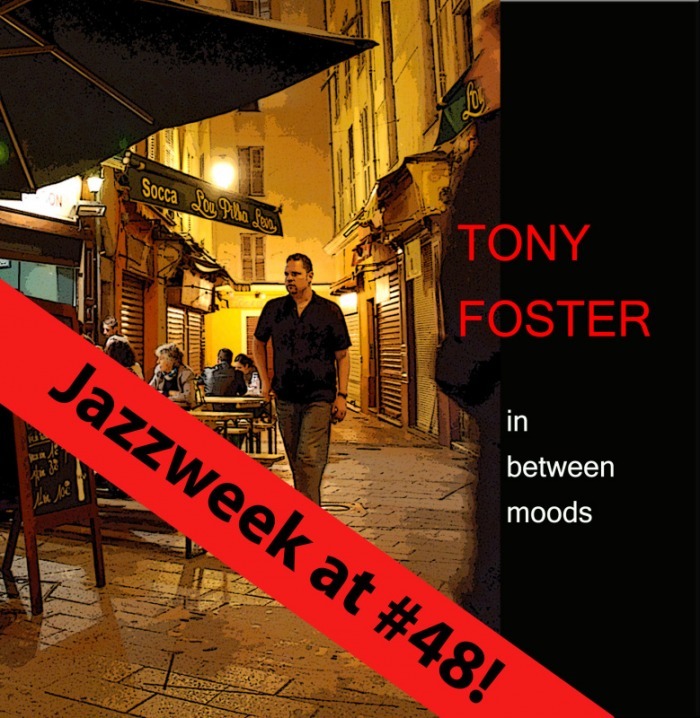 The debut trio release of Tony Foster. An exciting combination of Tony Foster's originals and a couple classics from the American Songbook! With terrific drumming from Joe Poole and the swinging support of Russ Botten on bass! Newsflash! 10/27/09: In Between Moods Debuts at #48 on The JazzWeek Charts Next week! Look Who is #2 on Canada's Chart Attack Jazz & Blues Chart This Week: Tony Foster's "In Between Moods"
The 2009 release of pianist/composer Tony Foster and his trio entitled "In Between Moods" starts off this week at the #2 spot on the Canadian campus radio charts tracked at ChartAttack.com! CHARTAttack.com Launched in 1996, CHARTattack.com is Canada's premier music website. Updated daily, the award-winning music information website is the leading online reference for Canada's music industry. As the premier Canadian music content supplier to The Canadian Press, CHARTattack.com was the first online service for the Canadian music/entertainment industry. It serves the market with its in-depth coverage of the Canadian and international music scenes. CHARTattack.com was the first in Canada to launch an email newsletter and it provides the only weekly Canadian campus radio chart. CHARTattack.com features music news, CD reviews, interviews with Canadian and international artists, contests and much more. It recognizes that Canadians want to know about their home-grown bands and covers the Canadian scene with an edgy attitude and pushing the envelope with its editorial. Chart Communications is the publisher of the leading Canadian music website CHARTattack.com and the country's longest running and most respected music magazine, CHART Magazine. Join Tony Foster at the piano with Travis Ranney on saxophone and Nate Parker on bass for two nights of jazz and fine Italian cuisine! Ballard's newest live music happenning. 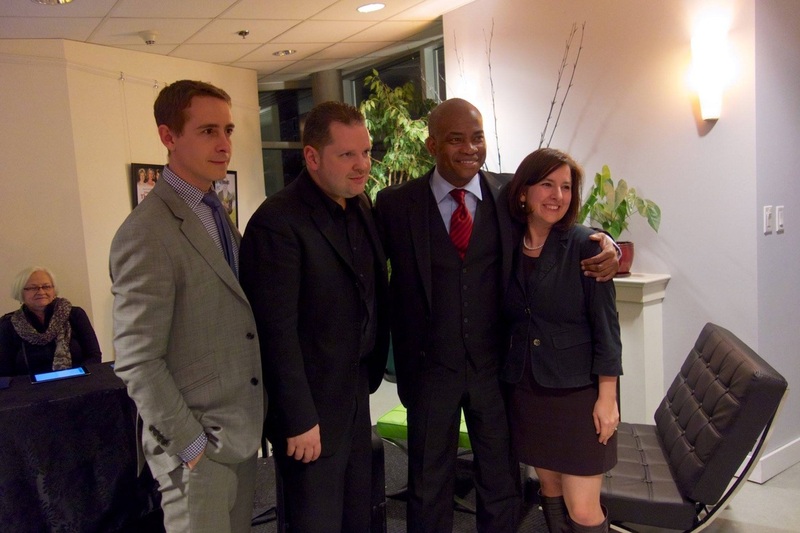 Intimate jazz groups communing with NW Seattle's Nightlife. 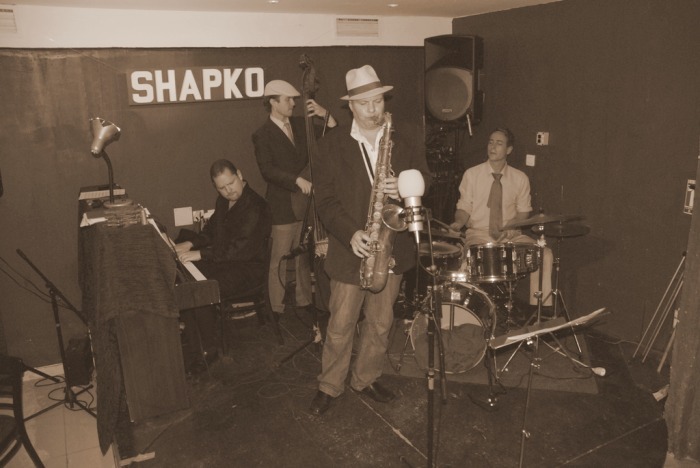 Every Friday and Saturday, experience the best of Pony Boy Jazz, without a cover charge. Join us for dinner, drinks, and music from 8:00 – 11:00. A small plates menu and cocktails available from 9:00 – 12:00. Join Vancouver's Craig Scott at the vibes as he leads this group in paying tribute to the great vibraphonist Milt Jackson, with a particular focus on Milt's years with Ray Brown and Monty Alexander. With Russ Botten (bass), Joe Poole (drums), Tony Foster (piano). Music starts at 9pm SHARP! No cover. with vocalist Dee Daniels, Greg Williamson drums, Russ Botten bass on board the 9th Annual Jazz Cruise sailing out of Ft. Lauderdale Florida on the Holland America ship MS Westerdam. The cruise runs from November 8th-15th. An all-star lineup of guests including the Bill Charlap trio, Jeff Hamilton trio, Freddy Cole, Johnny Mandel, Bill Mays, Claudio Roditi, Karryn Allison, and many many more! CD Release Party 7:30pm October 15th @ Silk Purse, West Vancouver! Join the Tony Foster Trio in West Vancouver at this beautiful and intimate setting located on the shores of West Vancouver- The Silk Purse. Joining Tony on drums will be Joe Poole and Brent Gubbels on the bass. Be there to celebrate the release of Tony's debut trio CD "In Between Moods" , as the trio will perform selections from it, as well as some material which may find its way on to his next project! Call 604-925-7292 for tickets! Saturday July 18th at 3:30pm, Tony performs with vocalist Carolyn Graye's quartet in Kirkland Washington on the Tulalip Resort Casino Main Stage. Come and sample some great wines and support live jazz! 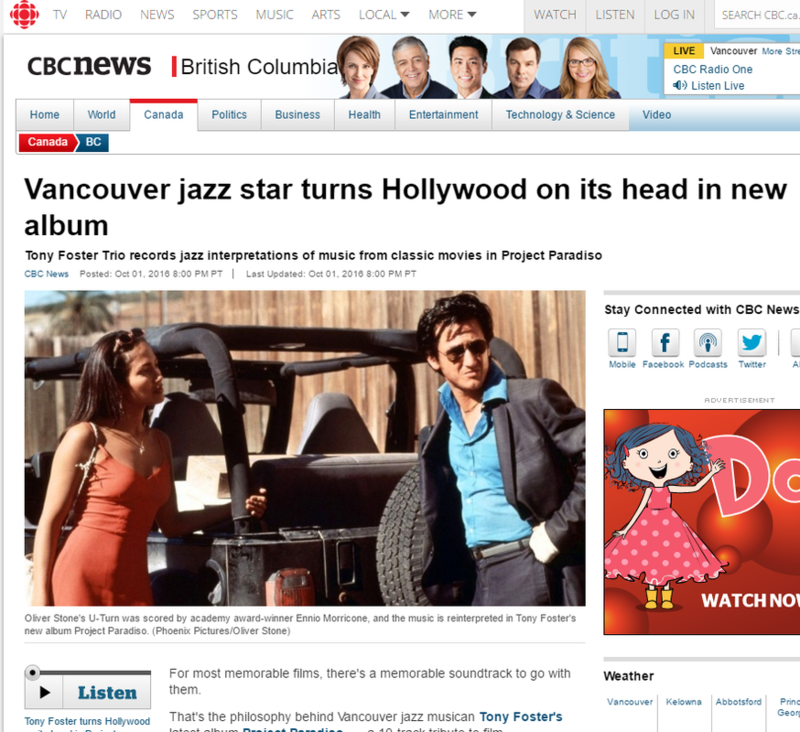 Tony Foster Trio for 3 nights @ Vancouver jazz spot! Come down and hear Tony with Joe Poole on drums and Brent Gubbels on bass for 3 nights at O'doul's Restaurant & Bar on Robson Street in Vancouver Canada!...Thursday May 28th-Saturday May 30th from 9pm - 12am!...Tony will have a few copies "hot off the presses" if you'd like to purchase his new CD entitled "In Between Moods"! 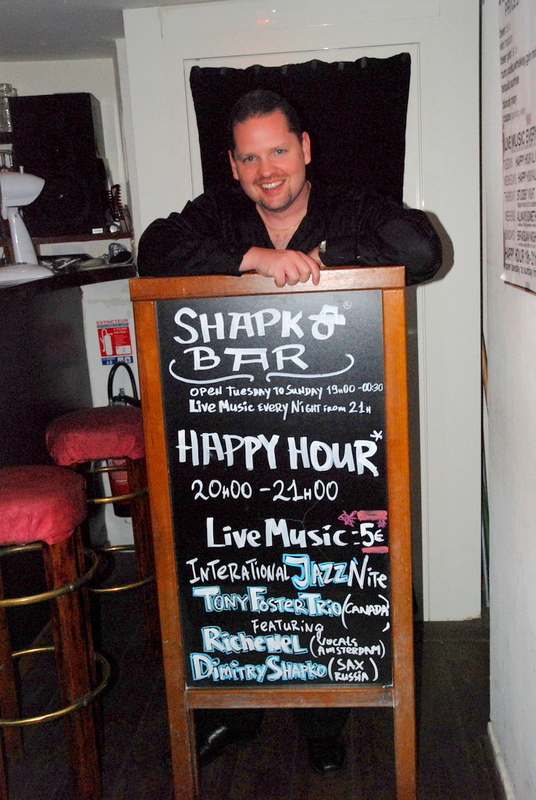 Join Tony with vocalist Dee Daniels with Russ Botten on bass at the Silk Purse in West Vancouver...7:30pm! Just returned from adventures in Torino Italy and Nice, France....be sure to check out the galleries section to see new photos......currently developing a new project featuring Joe Poole on drums, Sean Cronin on bass, myself, and Dimitry Shapko...all i can say is---LOOK OUT! Come down to El Gaucho in Bellevue Washington for some of the best steak around! With vocalist Trish Hatley and Larry Holloway on bass. Danderfer/Weeds Quintet @ Jazz Cellar, Sunday March 29th brunch 12:30pm! Join us from 9pm-12am for three nights of music with Vancouver's own jazzclub owner and saxophonist Cory Weeds and bassist Doug Stephenson! Come join us at the new El Gaucho restaurant in Bellevue Washington with chanteuse Trish Hatley and Larry Holloway on bass! Music from 7:30pm-11:30pm! New PROJECTS section--check out IDENTIFY ! I've updated my site with a new PROJECTS section to highlight other projects I'm a part of, including my live electronic project IDENTIFY which was formed in 2002 with Russian saxophonist Dimitry Shapko and drummer Joe Poole. YOu can now hear a smattering of tracks we produced as well as check out some small video clips of us from various live performances in Europe! If you are in the Victoria area, stop by Hermann's Jazz Club for an exciting night of music featuring Roy Styffe as we pay tribute to the legendary Cannonball Adderley and his music! Join us in Victoria BC on Friday the 23rd of January at the Alix Goolden Performance Hall, 907 Pandora Ave. at 8 p.m. For tickets to the show call the McPherson box office at 250-386-6121. This concert will also feature guest dancers from Victoria’s own Canadian Pacific Ballet, and the Alix Goolden Hall will be transformed into a 1940s New York Nightclub for the show. We'll be performing selected songs by legendary singers Billie Holiday and Ella Fitzgerald!!! Come down and join Tony and his trio at O'Doul's where they will be working through a mixture of his original compositions and some classics from the American Songbook. With Joe Poole on drums, Russ Botten on bass on the 18th, and Adam Thomas on bass on the 19th &20th. 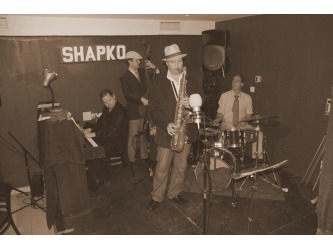 The gang from Shapko Bar in Vieux Nice, France!...Dimitry Shapko (sax), drummer Laurent Sarrien, bassist Russ Botten, Mademoiselle Katja Shapko, and Mademoiselle Margit! Just returned from a week-long stint at Marian's Jazzroom in Bern Switzerland with vocalist Dee Daniels and Vancouver bassist Russ Botten. 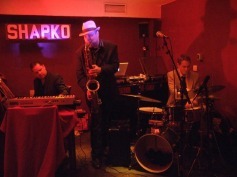 Marians Jazzroom first opened its doors in December 1992 and has since gained a reputation as being one of the best Jazz clubs in the world. Marians Jazzroom is a concert club that presents two concerts daily (with the exception of Sunday and Monday) from September through the end of May each year. Tony will travel to Switzerland and France this month....he will be performing with vocalist Dee Daniels in Bern Switzerland at Marian's Jazzroom, and then flying to Nice France to meet up with Russian-born saxophonist Dimitry Shapko. Every Wednesday in August, solo piano on Robson Street in Vancouver! Each Wednesday in August (6th,13th,20,27th), feel free to drop into O'Doul's Restaurant & Bar to hear Tony performing solo piano!...From 9pm to 12am, NO COVER CHARGE, and they have really great wine selections! I'll be performing at O'doul's Restaurant once again on August 2nd as part of bassist Russ Botten's group. It will be a pleasure to be playing with a great saxophonist by the name of Roy Styffe. 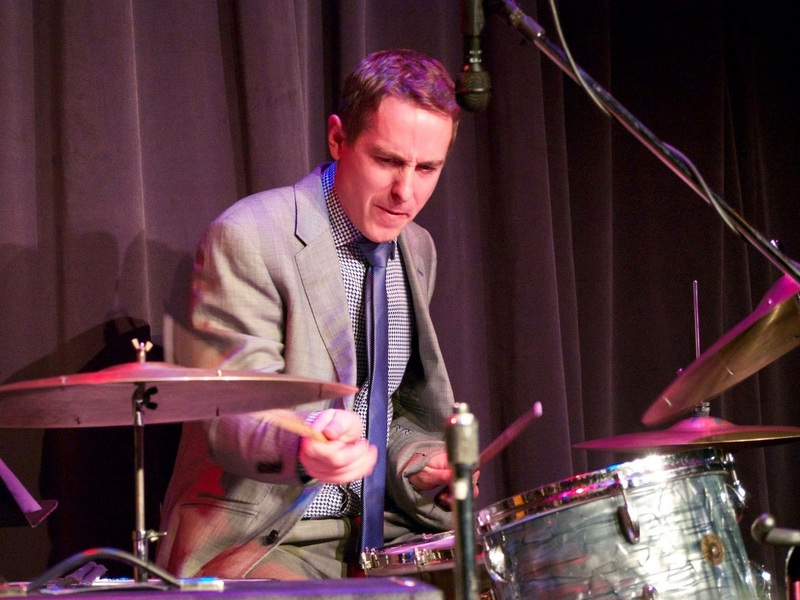 Roy currently lives and works around the Victoria, BC area, but has spent a great deal of time in the Toronto area playing and recording with a who's-who of Canadian jazz legends!...also performing will be swingin' Vancouver drummer Jesse Cahill. The trio will be performing from 9pm-12am Thursday July 10th through Saturday July 12th at one of Western Canada's most dedicated jazz venues- O'Doul's Restaurant and Bar on Vancouver's bustling and ever-popular Robson Street. At the drums will be Joe Poole and Russ Botten on bass on the 10th, and Brent Gubbels on bass July 11th and 12th. Tony will perform with vocalist Dee Daniels (pictured right) at this year's Vancouver International Jazz Festival at the Center for the Performing Arts in downtown Vancouver, Canada!...They will be performing selections from the 2007-chart-topping CD entitled 'Jazzinit'. With Seattle-based drummer Greg Williamson and Russ Botten on bass. In production--debut CD release of Tony Foster..STAY TUNED! Work is ongoing for a debut CD, with preparations being made for the album artwork and final mastering. Stay tuned for updates, which you can of course find RIGHT HERE!....estimated release: August 2008! A visit to an elementary school in Torino, Italy! Tony travelled to Moscow, Idaho to perform with vocalist Dee Daniels....this year's festival, as always, featured some of the biggest and best names in jazz...and I had the great pleasure of performing with drummer Jeff Hamilton and bassist Peter Washington (who has played with everybody, and is bassist in the Bill Charlap trio)!...I've been a big fan of Hamilton ever since hearing him with the Ray Brown trio, Monty Alexander, and Oscar Peterson....it was definitely a thrill to play with him, as well as with Peter! 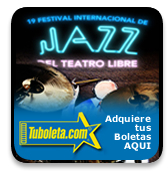 2007 Festival Internacional de Jazz del Teatro Libre de Bogotá, Bogota Colombia! Performed with Dee Daniels, Jon Wikan on drums (of Geoff Keezer trio), and Russ Botten on bass in Bogota Colombia as part of the international jazz festival there!..We performed to a full house at the Teatro Libre theatre (pictured right).